Vintage jewellery! Belonging to a country so rich in culture we have the deepest of our roots connected to royalty. 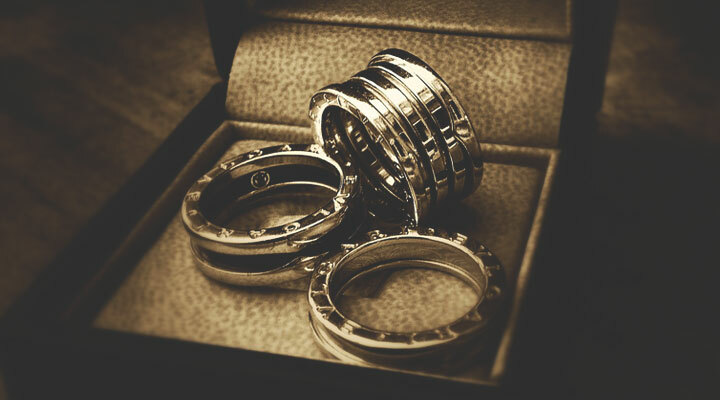 It’s so unlikely to find a woman who doesn’t fancy a touch of vintage and luxury in her collection of jewellery. But more than often many of our fellow pretty women have to suppress the urge of picking up their favourite vintage delicacy off the shelf of the stores selling them because of sky high prices. How wonderful it would be if we could get those classic pieces of exuberance to our jewellery boxes without burning a hole in our pocket! Well your wish is granted as we bring you a list of 5 best places which can fill your wardrobe with vintage elegance at an unimaginably affordable prices. So wherever city you are in right now you can always visit the nearest one! Delhi is not just our country’s political capital, it also is the most sought after capital for shoppers. While markets of Sarojini Nagar is a heaven for all tose who are searching for vintage jewellery but wouldn’t mind picking up a dress or two, Janpath stays laden with shops specifically dedicated to antiques and jewellery inspired by Victorian era, vintage classics wearable jewels and a lot of pieces inspired by bohemian culture. The most attractive feature of these markets is the scope of bargain and the unprecedented kind of variety on display. Who would mind picking three pieces for as less as Rs 500! Although the city is famous for Elante and Sector 17, but if you want to buy thrice the things in one third the price, sector 22 is the destination you should head to. The place offers a massive range of ethnic vintage jewellery to seekers of taste of royalty. With a complimentary market overladen with gorgeous dresses, fashionable footwear, and designs of bags in count of thousands will not let you buy just jewellery from this market. You can easily hop on to a public bust to reach sector 22 from anywhere in the city as it is well connected to public transport with a bus stop at its close proximity. So what’s stopping you! If you are looking for the most fresh fashion trends, this is the destination stop of your search. The markets of this city rightly make its women turn into glittering divas. The ornaments inspired by queens and princesses can find a way to your collection right from these markets. While Colaba specializes in offering you loads of ethnic jeweller and modern day accessories with an impressive collection of footwear and bags, Dadar is more enriched with variety of clothes. If you are specifically looking for big chunks of Rajasthani vintage jewelly like Maharani sets, bangles, kadas, heavy earrings, Bhuleshwar Market is an option to count on. Jaipur has the essence of Indian culture in the draping and in providing vintage jewellery. The city buzzes with shoppers of various ethnicity. Buying jewellery and traditional pieces of ornaments is a never fading attraction. Serving to these curious and enthusiastic crowd of shoppers streets like Johari Bazar stay open all the seven days of the week making an alluring variety of precious, semi-precious, everyday wearable rustic pieces of jewellery. While Johari Bazar woos you with delicate handmade intricate jewellery, Tripolia Bazar is more famous for its lac jewellery. While you fill your heart and bags with beautiful picks from Jaipur, don’t forget to put your bargaining skills up on your sleeve! Kolkata- a place for which shopping enthusiasts can never say no. This city offers you an irresistible combination of classic vintage taste and local craftsmanship. One of the city’s oldest market Burra bazar stands tall with all its glory to serve a cheerful and huge count of customers everyday. With its four sub-markets this place is a paradise if you are looking for grabbing jewellery pieces with an uncanny resemblance to original ones. While Burrah bazar is rich on have-it-all criteria, sudder street is an arcade of thrill for youngsters and women searching for a combination of vintage and bohemian jewellery. During the time of Puja both these markets can give you a tough call of coming back without multiple overloaded bags. So ladies, there is no reason to not go and explore the world and the beauty of its things, after all we have got only one life to live!